Dennis Prager has written a response to Mark Shaiman's anti-prop 8 musical (which, as the article mentions, has been viewed over 2 million times on the internet). A little background on the characters in this story: Shaiman directed "Hairspray" and is a Tony award-winner. This is not small time. Prager is a conservative Jewish radio host (around here he's on 870 from 9 a.m.-noon) whose show I highly recommend. What stands out about Pra ger is how well-rounded his thoughtfulness is. He teaches college Torah classes (his article mentions that he is teaching Leviticus right now) and does not limit his radio show to just politics. As a Jew, he loves, appreciates, and genuinely tries to understand where Christians are coming from- you'll get a sense of that in this article. But none of that matters. In an age when most college graduates know little or nothing about the Bible -- which, until the baby boomer generation, was the most widely read, most widely studied, and most widely revered book in America -- they will learn all they think they need to know about the Bible and homosexuality from a three-minute musical on the Internet. Hatred based on ignorance is known as bigotry. Making the bigotry of much of the anti-Proposition 8 activism apparent is Marc Shaiman’s significant, if inadvertent, contribution. Why can’t Shaiman and his fellow activists acknowledge that there are good people on both sides of this issue? 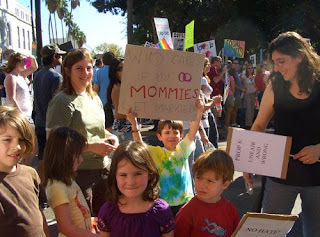 Those of us who supported Proposition 8 readily acknowledge that many good people differ with us. Neither position is inherently hateful, but this little musical is. "they will learn all they think they need to know about the Bible"
And sadly, the fundamentalists and evangelicals who promoted their culturally biased reading of the Bible will share the blame when the culture rejects the Scriptures as hateful. < But none of that matters. In an age when most college graduates know little or nothing about the Bible -- which, until the baby boomer generation, was the most widely read, most widely studied, and most widely revered book in America -- they will learn all they think they need to know about the Bible and homosexuality from a three-minute musical on the Internet. Um, yeah. Like so many others, this dude needs to familiarize himself with the US Constitution. Andrew is sadly mistaken: he doesn't make a good point at all here. The Bible has absolutly nothing--absolutely nothing, and that is specifically encoded into US law--to do with how laws are made in this country. (That there are obvious overlaps--the Bible says killing and stealing are wrong, and, duh, so do the lawmakers, is totally irrelevant here.) If you are going to support Prop 8 and be a US patriot--you know, love your country and all that--you have to mount an argument that leaves the Bible totally out of it. Otherwise you might as well be arguing that we need a Constitutional amendment banning shellfish or requiring us to pray facing Mecca once a day. I'm not saying that argument can't be made--but bringing the Bible into your argument right away, and using, for evidence to support your claims, that people don't read the Bible like they used to, does very little. You sound like someone who is, in fact, more unpatriotic than the Bill Ayers, etc, of this world--someone who hears "separation of church and state" but wants to argue that that is mistaken and wrong. And that is, for better or worse, the hard, cold fact of the country we live in. Like so many other people who comment with such simplistic counter-arguments, you need to familiarize yourself with the article before commenting about it. The article is not about prop 8 or the constitution, but about the way the anti-prop 8 crowd has called pro-prop 8 religious conservatives ignorant and hate-filled. Further, accusing Dennis Prager of not knowing the constitution indicates that you've never actually interacted with his material or radio show. One thing you cannot accuse him of is ignorance. Regarding your understanding of the Bible and politics, I actually have some sympathies as a Christian (check the sidebar on the main page for my article on gay marriage). Though I should add that part of the deal with democracy is that the voter has the power to vote for or against whatever s/he thinks is right. So if someone wants to vote according to his biblical convictions, he can. This is a more complicated issue than you make it out to be. I wish you would not resort to accusing ignorance so quickly. Andrew: I appreciate your corrections; I should not have called Prager out on constitutional arguments, although from the portion of his statement that was clipped I think I can defend my misunderstanding. However, I'll grant that he understands the constitution. But I still insist he's ignorant on the basic facts of this debate, and his conclusions on the Anti-Prop 8 Musical are specious. He wants to take the anger and hurt that gays and gay-supporting people feel and call that "bigotry" against Christianity. Good grief. In short, Christians who believe homosexual relationships/marriages are a threat to "family" or who believe homosexual practices are "sins" to be "hated" are perfectly entitled to those views. But they must own those views, and must understand why those who disagree will feel hatred, and must understand why they are, themselves, fair game for counter attacks, like the Musical Prager dislikes. It's hardly "hatred based on ignorance" but rather hatred based on a long, long history. These people are certainly not ignorant of how the other side feels--Christians who want to separate themsevles from the "God Hates Fags" signs can take action to do so.